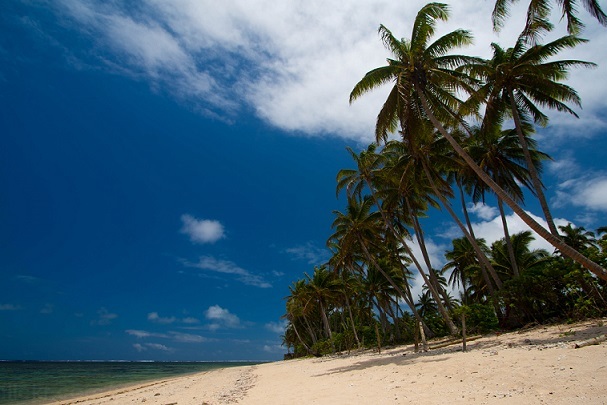 Taking a trip to Fiji is a dream of many : heavenly beaches, lots of palm trees and complete relaxing. What you might want better? Well, there are some things that may be are not listed in the advertising brochures. See these 8 things you should know before you arrive to Fiji. Fijians exceed, especially with tourists, with the use of these words. They are able to greet several times in a short time, but it is their way of being polite, not a way to bother you. Fijians call it the way they deal with life : you will find that they are very “slow” compared to Westerners. Their philosophy of life is to do everything but calmly, there’s no rush and for this you can feel extremely relaxed being there. It’s easy to get used to this and make it your own custom, but be careful when you return back home to reality! This could be a shock! Fijians are very proud of it. It’s an ancient herbal drink that is almost a must try. Do not expect something extremely good, but it is customary that the Fijians want to share it with their guests, whether they are friends or tourists. The ritual of kava is very unique and engaging. You will be placed in a circle of people, with half of a coconut shell used as a glass : so the rite requires that everyone drink the same as a sign of sharing, also the entire ceremony takes place in silence. The people of Fiji is very sunny, may be it is for the climate or simply for their concept of “Fiji Time”. They always have a smile for everyone. It could be a laugh as their way to establish a relationship with the person that they face or simply to be nice with a tourist or a local. Fiji is full of resorts and often they are very luxurious, with any kind of comfort, but there is also another face of Fiji, which is the less rich : the villages and the normal people. Many Fijian still live in extreme poverty, along King Street and beyond, cabins crop up among the trees, leaving shine of metal roofs and glassless windows. The tradition of handicrafts is very much alive in the villages. Often outputs are organized by the resort to learn the Fijian art, ranging from baskets of palm leaves to ornamental objects such as paper clips and earrings made ​​of wood. The flower garlands are also features in the villages, and they are usually donated as a sign of welcome. Not everyone knows that the Fijians were once a nation of cannibals and one in particular is remembered among the natives : Ratu Udre Udre. Ratu Udre Udre was the last cannibal of Fiji archipelago, famous particularly for the fact that he continued to practice cannibalism even after the state, ceded to Great Britain, had accepted Christianity as the national religion. It is said that he ate 99 people, and in memory of each of them had kept a stone. If you are curious, and you will go to see the place where the last Fijian cannibal was buried, you will see that around the tomb are located all the 99 stones. The Meke is a folk dance, rooted in tradition but which is now part of the tourist attractions. The word “meke” actually means different types of dances and it is a custom that has been handed down from generation to generation, which accompanies the life of a Fiji man in his most important moments during life, such as birth and marriage. Do you liked the article? Are you planning now to go to Fiji? Hey Erik, this is one of the most interesting travel sites I have ever visited and seriously! I am jealous. Travelling is one thing which people must experience in their life. It’s said if you want to do one good thing to your soul, then TRAVEL. Your blog would seriously be loved by the people seeking pleasure through travelling for the way you describe things about a particular place is worth appreciating. Good job! Hi Manpreet, thanks for your kind words! I love to travel, it really enriches your life and spirit. I promise to write soon about India. Be sure to grab RSS Feeds.